In this final instalment of articles on high intensity functional training, we are going to look at an interesting military study which compared the effects of HIFT versus conventional fitness training on strength, fitness and flexibility in well trained younger male and female army personal. This may particularly relevant given the tests used in this study are very similar to many Australian military, police and other government agencies. Thus, it is not uncommon to have new clients purposely looking for relevant training programs to assist their physical preparation for employment in these organisations. The training program: Although not completely described, the authors of this study reported the HIFT program consisted of functional exercises such that utilised barbells, dumbbells, bands, medicine balls, sleds, tires and body weight and utilised various Olympic lifts, compound lifts, plyometrics, body weight movements in a circuit with 15 different exercises performed for 60-90 seconds, with little or no rest between stations for a total of 45 minutes. The conventional exercise group followed a standard Army Physical Readiness Training program, five times per week, for 50 minutes per session. 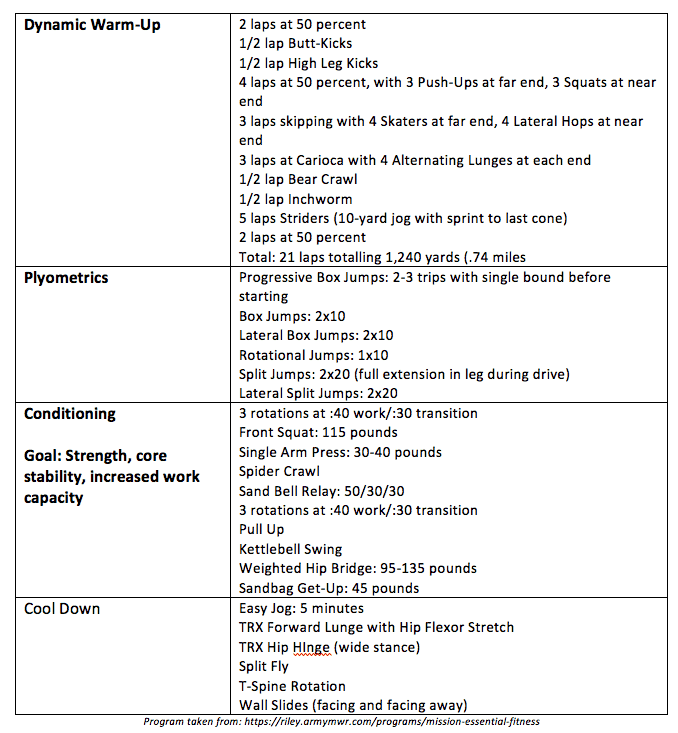 Program design – Not used in the study, but very similar. What they found: At completion of the 8 week study period, the HIFT group improved push up, bench press, and flexibility performance and in addition, significantly reduced their 3.22km run time and post step test heart rate. What does this mean: The results of this study suggest, when compared to a traditional exercise program which was conducted for an additional 3 sessions per week, HIFT performed 2 times per week for 45 minutes improves muscular strength and endurance, cardiovascular fitness and flexibility. Given, military and other government law enforcement agencies require their personal to be able to meet the physical demands of combat situations, which includes jumping, crawling, rolling, running, accelerating and decelerating, lateral movement, carrying heavy loads over long distances whilst maintaining fine motor skills. HIFT that incorporate the various types of functional training tools and movements combined with appropriate conditioning (metabolic conditioning etc) appears to be a more effective exercise intervention to physically prepare an individual for the demands of military and law enforcement employment. Reference: Heinrich, K. M., Spencer, V., Fehl, N., & Carlos Poston, W. S. (2012). 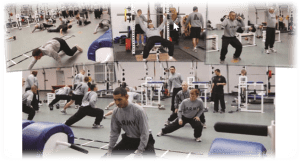 Mission essential fitness: comparison of functional circuit training to traditional Army physical training for active duty military. Military medicine, 177(10), 1125-1130.